Develop, deepen and refresh your skills. From next spring, Carolyn Nicholls and Francesca Aldridge will be offering regular postgraduate workshops that encourage you to continue your Alexander Technique journey in a supported environment. Each workshop will last 3 hours, and will include hands on work from Carolyn and Francesca, demonstrations and opportunities for you to explore procedures and discussions. We will dip in and out of F.M’s books (and other AT writers) to offer insight in to our work. Our underlying theme is always observing our own use, and translating that into our work as teachers. Each workshop follows a theme and links to the next workshop. 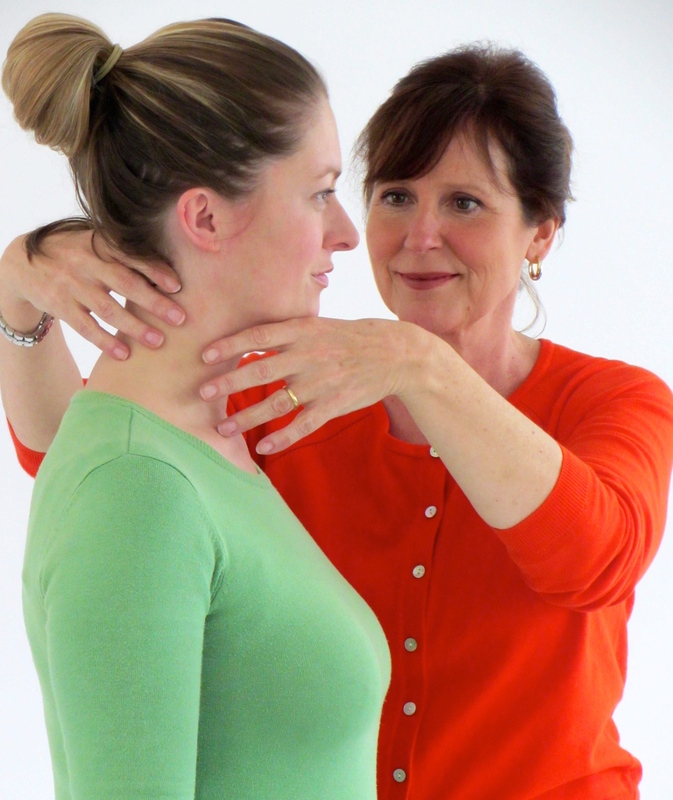 We are starting with two workshops and, with free necks, offer you a chance to explore again Inhibition and Direction. Come and join us! We will explore this ‘delicate balance’ in these first two workshops workshops, both practically and experientially. How do we learn Inhibition? How do we teach it to others (whilst still hopefully practising it ourselves!)? Time to explore some ‘lying down work’- do note the word ‘work’ in this context, listen to Franceca’s mini lecture on the neurology of Inhibition, share your thoughts and experience and try out new ideas. Have some hands on work from Carolyn and Francesca and log 3 hours on your CPD. Sept 2019 Dates to come. £260.00, includes a private lesson. Come and join us for our annual autumn course. This course runs over a 4 day period and has become a much loved with people coming year after year. We run a very practical course, featuring lots of hands on work and our ever-deepening thinking about the technique, how to teach it and how to use your hands skillfully.It includes a private lesson with either Ron or Carolyn. As always our themes is your use, your hands, your teaching. Questions always welcome. To book a place email: carolyn.nicholls@me.com Please do tell any interested friends! We welcome teachers who would like to deepen their study or refresh their skills. Contact Carolyn to discuss your opportunity to spend time with us. My favourite way of working with teachers is in small hands on groups of 2-4 teachers. So I am now opening up these popular sessions to more teachers. It’s a chance to work in a focused way on the use of your hands in teaching and usually includes working on each other using the ‘classical’ way of taking a pupil in or out of a chair, with one hand on the occiput and the other under the chin. This is ultimately quite a difficult thing to do really well, but has within it all the subtlety and power you need to generate in your hands from your entire body. I am also happy to work with whatever you would like to study, maybe lifting a leg or working with a challenging pupil, you can even bring the pupil if you wish.